Morningside milestone man Hayden Wilson is still shaking his head at how ‘weird’ it is to be playing his 100th game on the same day as brother Justin lines up against him for the first time. “It has turned out crazy,” he said, looking forward to the Panthers’ joust with arch rivals Southport for top place on the Velocity Sports Cup premiership table. Best afield in last week’s big win over Aspley last Sunday, Wilson will be primed for another big performance against a side that he traditionally plays well against. The extra edge is his brother being an opponent for the first time in his life, with Justin – who played 121 games with the Panthers - having moved to Fankhauser Reserve on returning from one year in the SANFL. The two people who haven’t enjoyed the lead-up have been the duo’s parents Jenny and Shorty. Hayden’s best memories in his century of games heavily feature his brother’s involvement. His favourite was Round 1 of 2007 when the pair kicked 13 goals between them in a rollicking win over Broadbeach at Esplen Oval. Then there was the ‘touching up’ of a full strength, AFL player-laden Lions in Round 15 of the same season when both brothers dominated. He also has fond memories of the Round 10 clash in 2007 when Morningside beat Southport at Fankhauser Reserve for the first time in 14 years. Hayden was on fire in 2007, kicking 29 goals in the opening 10 rounds and finishing with 36 for the season to place in the top 10 goal-kickers in the League. And he represented Queensland for the first time at open level in the historic win over Tasmania in Launceston. Yet it ended in the worst possible manner when he wrecked his knee two minutes into the preliminary final against Southport, ruining the already undermanned Panthers’ grand final hopes. 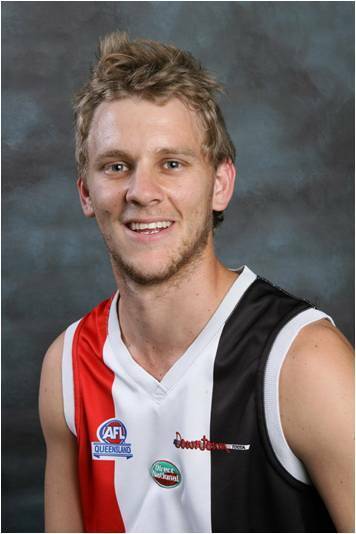 He underwent a knee reconstruction and did not play again until Round 16 of last season, where he was nonetheless lively and got to play in the losing grand final team. He admitted the 100-game milestone had been firmly in his sights. “I will treasure it for sure – I’ve been eyeing it off for the last two years,” he said. “I have been happy with my form although I feel like I could still be doing more. Hayden is like a new recruit for the Panthers, who have been most imposing over the last five weeks. “We’re flying at the moment – we put a new game plan in place at the start of the year and over the last five weeks we’ve been getting better and better,” he said. Now 25 and a member of the Panthers’ leadership group since 2007, Hayden was busy with his work as a builder when his brother headed south, having had his fill of playing the traveling footballer with a summer in Darwin several years ago. 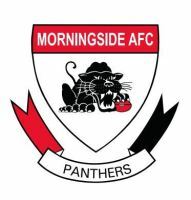 A Morningside junior, Hayden remains a committed Panther. “I won’t leave. It’s hard to explain,” he said of his attraction to the club. “It’s nothing much to look at and there’s a not a lot from the club financially but we all stick together.